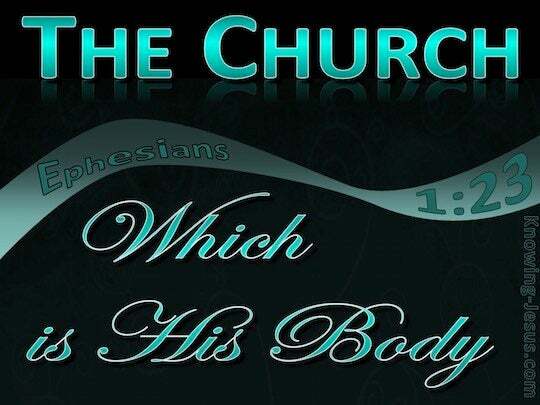 ﻿ Ephesians 1:23 which is His body, the fullness of Him who fills all in all. which is his body, the fulfillment of him who fills all in all. which is His [spiritual] body. The church is completely filled by Christ [or, "Christ is completely filled by God"], who completely fills everything in every way. which is his body, a work compleatly finished in all its parts. which is his body, the fulness of him who fills all things in all. which is his body, filled by him who fills everything everywhere. Which is his body; who is the fulness of him that filleth all in all. Which is his body, the completion of him completing all things in all. which is his body, the fullness of the one who fills all [things] in every [way]. which is his body, and fullness of him, that filleth all in all things. the church which is his Body, filled by him who fills the universe entirely. which is his body, the fulness of Him who fills the universe. which is his body, the fullness of him that fills all things in all. Which, indeed, is his body, the fulness of him who, the all things in all, is for himself filling up. 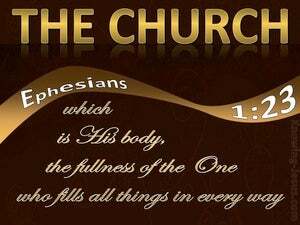 For the Church is Christ's Body, and is filled by him who fills all things everywhere with his presence. which is His body, that is being filled by Him who fills everything everywhere. which, indeed, is His body, the fulness of Him Who is filling all in all. which is his body, the complete work of Him, who filleth all in all.